We make card games and board games with amazing art that you want to play again and again. Our games feature stunning art by popular artists, because when you spend hours looking at games, they should look great. 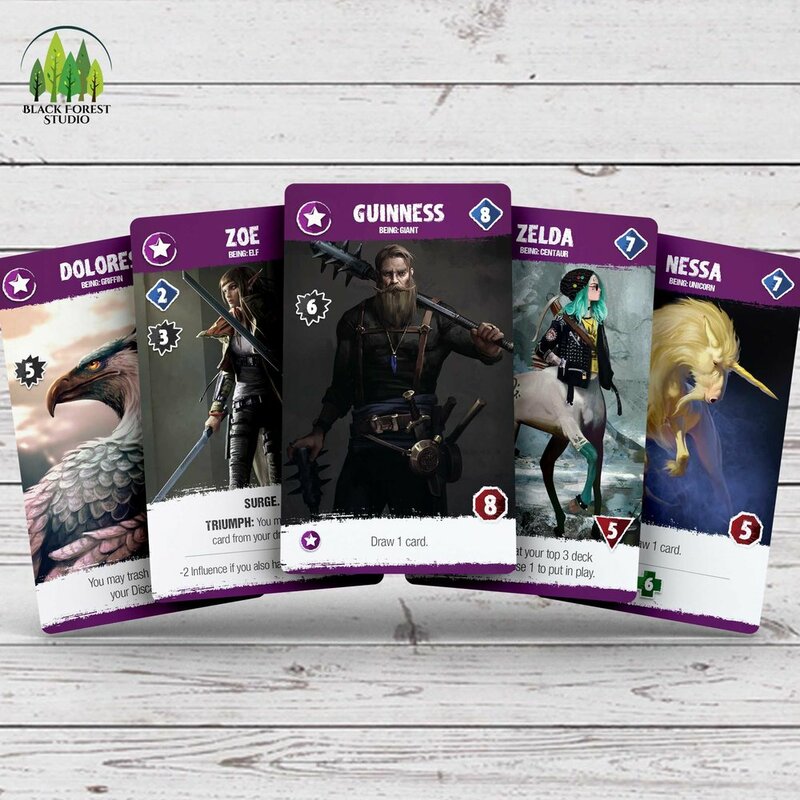 Check out our games and subscribe to our email newsletter to keep track of new games and launch dates on Kickstarter. In our digital age, it's important to sit down and get some real face time with family and friends. There's no better way to do that than at the table. We create art, playing cards, tabletop games, party games, and other creative projects. We also interview other creative people and companies. If you are a game designer and want your game to be published, contact us with your ideas so that we can take a look at working together. Find out about us, including our projects, playing cards, games, and other creative creations. Do you have a game design? Do you want your game published? Are you ready for your game to be the next big thing? Contact us. Click HERE to Subscribe to game updates, including release dates and other creative news from the Black Forest Studio.